Despite the many reasons why people preach the use of Linux, actually going through with the switch is a completely different story. I know this only too well as I went through the exact same process before everything came together and I fell in love with Linux. However, I have to admit that it took a while with numerous attempts at using Linux for more than a week. It’s not that Linux is hard to use or understand, but it simply doesn’t fit the Windows mindset that most people have. Expecting to do everything in Linux exactly like in Windows is where problems start appearing, which can easily deter a good number of users. Thankfully, there is now a Linux distribution that could make the process a whole lot easier. Zorin OS is a Linux distribution based on Ubuntu, but besides identical packages and base system there are some major differences between the two. One of the major goals of Zorin OS is to offer a user interface that is similar to that of Windows, making Windows users feel more comfortable when they use Zorin OS. I must say that Zorin OS does a pretty good job with it. You can download the ISO for Zorin OS by going to this page and downloading their “Core” ISO. The developers also offer lite and educational variations for you to download, but in most cases you’ll have the better experience with just the core. This review will focus on the Core edition. Additionally you’ll find a Premium page where they offer you Ultimate, Business, Multimedia, and Gaming editions, which is mostly just the Core software with many additional applications for that type of system. The effort it takes to put all those extra programs into the ISO is why they charge for those editions. 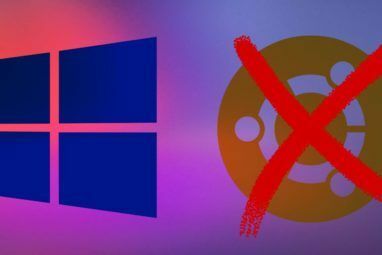 Once you have your downloaded ISO burned onto a CD, written to USB, or ready to go for VirtualBox, you can boot straight into the live environment. Loading shouldn’t take very long, and in no time you’ll be presented with the Zorin OS desktop. As you might recognize, the default look for Zorin OS mimics Windows 7 quite well. There are only a couple of shortcuts found on the desktop, and in the taskbar you’ll find the Start menu on the left (with Zorin OS branding, of course), the icon tray on the right, and then in the middle you’ll find the cool looking buttons that show which programs are currently open (do those even have a technical name?). Overall, it looks very much like Windows 7, which is very impressive. If you actually click on the Start menu, you’ll see a lot more Windows 7-esque goodness. The Start menu, which appears to be GnoMenu with an appropriate theme, looks extremely similar to Windows 7’s Start menu. Keeping a small Linux touch, however, all programs in the left side of the menu are organized into the regular categories that regular Linux users are familiar with. There is also no “Recent Programs” list as is in Windows 7. So all this stuff that looks a lot like Windows 7 is great for someone coming from Windows, right? Well what if they’re trying out Linux because Windows XP is starting to become very dated for an operating system? No need to worry there either. In the Control Center, there is a button called Look Changer, which will open a new window where you can choose between a Windows 7, Windows XP, and regular Linux Gnome desktop. With Windows XP available too, switching to Zorin OS is even easier for more people. Zorin OS also comes with some pretty interesting default applications. Instead of Firefox as the default browser as is the case in all major distributions, Zorin OS chose Chrome in part due to its ever-increasing popularity. Many will enjoy this, while those that don’t will simply need to install their browser of choice. Not a hard thing to do. Zorin OS also includes Nautilus Elementary over Nautilus, which offers a tweaked user interface for a cleaner look. As for everything else, the usual applications that you would expect are included. 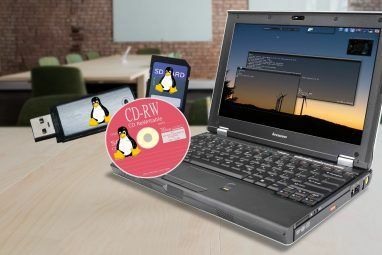 This interesting Linux distribution has some great incentives for Windows users to try out the Linux side of computing. 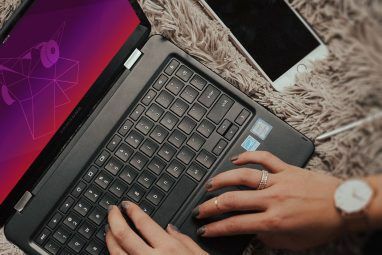 Aside from all the differences between itself and Ubuntu, the rest is business as usual, letting you get work done like a pro. What do you think about Zorin OS? Is it the best way for Windows users to try Linux? Let us know in the comments! I use Zorin and Mint as tools to teach new testers how to think differently when examining programs under test. These versions of Linux give them the opportunity to "view" program tasks from a higher level. It gives them the flexibility to look at an artifact on the screen and question it's utility and then expand their palette of interactions when dealing with it. They can do this more easily by being able to bridge the gaps between the "windows world" and other software since these programs closely mirror a windows environment. Can I do "this" which works in Windows? Often, programmers build programs that have tasks defined in a mindset based on previous experience and don't conform to human interaction norms found in Mac or Windows based on books put out by those companies that define their system operations. New testers have to be able to spot these differences and convey this to the program managers so that the managers can make the judgements that balance the code, human interaction and the performance of the program. IF the testers pass the low hurdles on these systems which mirror the "windows world" that most of them are familiar with I crank it up by giving them tasks in more and more arcane systems until they are suitably flexible to "see" what is going on even with unfamiliar programs. who farted on the dog? I have been using Zorin OS 5.2 since March 2012. I must admit this operating system does give the user a Windows-like experience. The desktop environment was easy to navigate being a long time Windows user. Since I liked Zorin OS, I upgraded to Zorin OS 6 when it was released. I currently have Zorin OS running on three different computers. Installation seemed to be an issue for me. I had an old Gateway laptop I bought back in 2004 that originally had Windows XP and decided to replace it with Zorin OS. When installing Zorin OS 6 32-bit on my old laptop, I was getting the following message during install -- "This kernel requires the following features not present on the CPU: pae. Unable to boot -- please use a kernel appropriate for your CPU." With some tinkering, I was able to make another ISO that had a non-pae kernel. The second computer I installed Zorin had no issues (go figure). The third computer was a 64-bit install and I had issues with my NVIDIA graphics card. During the installation process on this computer, the screen would turn white displaying jumbled graphics and it looked like the installation process froze. However, this computer had onboard graphics installed on it and I simply went into the BIOS and told the computer to use the onboard graphics instead NVIDIA; and then I was able to install Zorin OS. Once installed, I was able to load the necessary drivers for my video card and all was well. Overall, I would recommend to give Zorin OS a try. You can try the live DVD for awhile and take Zorin OS for a test drive, then if you like it install it to your hard drive. Having used Zorin OS for about four months, it has re-introduced me back into the Linux/Ubuntu world of computing. Windows 7 is still my primary operating system of choice and I consider Zorin OS my secondary choice. I have tried many linux distros in the past and was very disappointed with the difficulty of install and operation. but recently I decided to try again with Zorin OS 5.2 after I saw a youtube review. WOW , WOW, WOW, what a difference ! it installed with minimum questions and installed rather quickly. straight forward, easy !! Zorin OS 5.2 is quick, faster than windows 7 and lightyears ahead of windows 8 which I have been testing for 6 months. I installed zorin OS 6 Release Candidate and like it even better. will definitely get the ultimate version when it becomes available. est cost less than $20.00. Microsoft has abandoned my os for the last time, winxp will not be supported for very long and then you will have to buy their new OS but beware it will probably not run on your existing machine, Zorin WILL ! Keep trying to get onto linux, yea it's hard work at first because we keep expecting linux to work like windose, but it isn't. stick at it, it's worth it in the end. Also, I'm sure there are a linux user group near you, go to their meetings, tell them your problems and they'll help you out. I agree...if you like Windoze and especially if you're into social networking, you'll not beat Pinguy. Good solid distro. I have to admit that this is by far the best OS I've ever used, let alone being the best Linux distro! When I first tried Ubuntu I felt really lost because I had no clue how to use it. I had to go back to Window$ but I really wanted to use Linux since it was really fast and couldn't get viruses. One of my friends told me about Zorin and I decided to give Linux another chance. Zorin was sooo easy to use since I was really used to using Window$ 7 and I installed it instantly to my computer. All the drivers worked without having to fiddle around with the system, everything worked out of the box unlike Ubuntu which didn't even recognize my graphics or internet. I don't even know why people bother with Ubuntu, especially now with the whole Unity garbage. Zorin is the cream of the crop and I would recommend it to everyone, both beginners and advanced users! It's just so much easier to use, faster than anything else I've tried and it looks awesome. Zorin will be the number 1 distro at some point. Long live the Zorin!!! Yeah, this is a pretty crappy build of linux. I wouldn't recommend that to anyone. Ahhh... but then again it's an article from a high school student. stick with Ubuntu on new users. Yes, the layout is a little different but not that difficult to figure out and once you do you realize how much more fun and useful and interesting it is to Windows. Idea to create operating system based on Ubuntu core isn't new and is ideal for a few reasons - one is ability to install it onto small netbooks. But, all of that changed when Ubuntu 11 came up (because of new Gnome shell if i'm right, but that is less important). And about Zorin OS: first you will discover that you can install just smaller (Light) version of Zorin OS on netbook (if system doesn't have more than 6GB. OK, that is something usual today, but keep in mind that someone doesn't want to use much space for OS if have small SSD disk). Well, Light version have just two themes (Windows 2000 and Mac OS X): this isn't much important (but it's for people who doesn't use Linux earlier at all, or want to use Win 7 GUI). Second, keyboard layout doesn't work as on Win, Mac or Linux - you can't set language bar in tray. And, if you are advanced Office user (or your business is much related with Office suite), you will be disappointed with less than useful Abi Word. After few days torturing myself with Zorin OS, I come back to Ubuntu.To be honest, I saw some positive comments in here. Maybe this OS can do much more for somebody else (I didn't spend much time to tweaking system, but if I need to spend few hours to do that, it doesn't have much sense, right!?). Conclusion: if you are user who's need advanced Office suite and want to use Linux distribution (which is pretty user-friendly) I suggest to look up at classic Ubuntu (from 10.04 LTS above), on which core, what an irony, Zorin OS is build. Besides, there is Windows 7 package to turn Ubuntu into popular Win OS. If someone needs a more complete office suite, they can simply just install LibreOffice. Additionally, if you check out the latest Zorin OS, it has evolved quite a bit. I have been using Zorin 5 for a few months. For a crossover platform, it's the best Linux OS I have ever used. I've tried a few others, but this was the easiest one out there, in my opinion. I've got it on my laptop and desktop tower unit. Looks like it is worth a look but I smell a patent lawsuit if this distribution became popular. us patents don't work in Russia. After six attempts, I have given up trying to install Zorin 32bit in VirtualBox running under Windows 7. I have previously installed several varieties of Linux Mint and Debian with no problems whatever. The installer for Zorin crashed each time. Attempting an automatic install produced an error saying there was insufficient disk space (there was, I allocated plenty of room) and attempting to do it manually produced a complete lock up each time, with the error message ubi-partman crashed with error 141. Each time I had to force an exit, delete the Virtual Machine, and start again from scratch. As it is intended for people who want an easy upgrade from Windows, this distro is a complete non-starter. I would recommend newcomers should try Linux Mint (any variety really) as it installs faultlessly in VirtualBox or on a real drive. This one is badly flawed somewhere. Sorry to hear about all the problems you've had with the installer. It's strange that it's not working well in VirtualBox, but maybe it'll be fine on actual physical hardware..? Yes, Linux Mint is usually the most recommended one to starters. Nothing wrong by doing that. In my experience of Linux, it was hardware incompatibilities that made me dislike linux. I read somewhere that the best hardware to run linux on is whatever the developers happen to use, and I can see why. When I try linux again, I'll go for a different distribution and hope it works out better than the other two times.